New research shows that our aspirations to grow potatoes on Mars may be a little premature. Results of a new study indicate that the thin Martian atmosphere and the ultraviolet radiation it allows to reach the planet’s surface interact with chemical compounds called perchlorates to create a deadly environment for bacteria. We have known that there were perchlorates on the surface of the Red Planet since the 1970s when the Viking 1 and 2 spacecraft landed there. We’ve confirmed this with other probes since that time, and until recently that fact has actually been viewed in an encouraging light. That’s because although perchlorates — made from oxygen and chlorine — are toxic to humans, bacteria tend to thrive in their presence, using them for energy. Perchlorates also lower the point at which water melts, which offered still more hope for the existence of bacterial life on Mars. However, this new development definitively shows that all of those factors change when there isn’t enough atmosphere to filter out ultraviolet radiation. 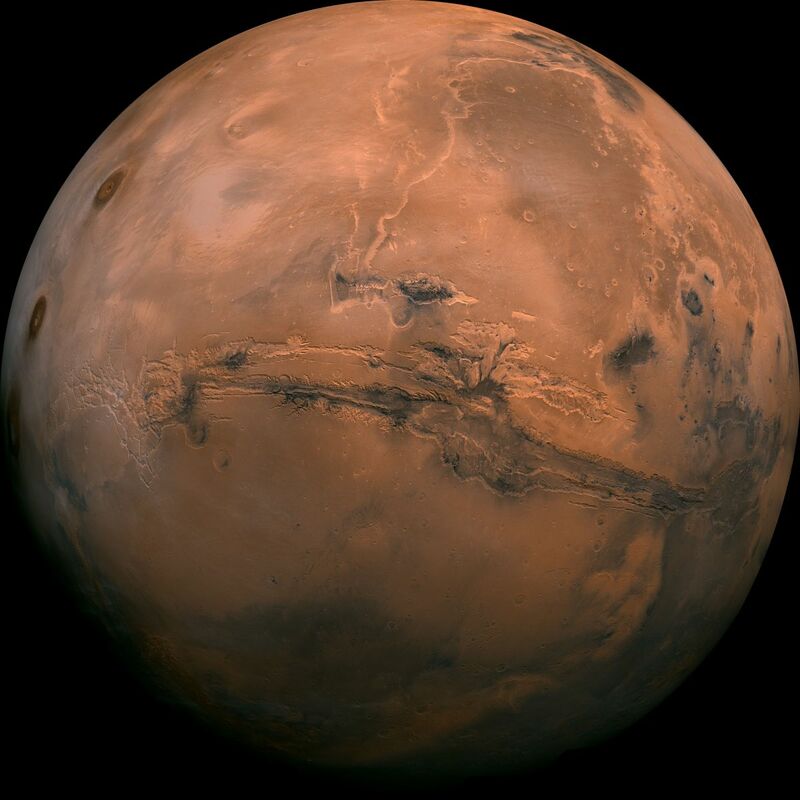 In the study, University of Edinburgh researchers exposed Bacillus subtilis, a common bacteria, to simulated Mars conditions, including low oxygen and temperatures. Under those conditions, bacteria lived for as much as an hour. However, with the addition of ultraviolet light, entire test tubes of bacteria were sterilized within 30 seconds. Furthermore, irradiated perchlorate reacted with hydrogen peroxide and iron oxide, two other common components of Martian soil, which rendered the soil hostile to bacteria. This, however, isn’t the end of the search for life on Mars. “I can’t speak for life in the past,” co-author of the study Jennifer Wadsworth said to The Guardian. “As far as present life, it doesn’t rule it out but probably means we should look for life underground where it’s shielded from the harsh radiation environment on the surface.” The ExoMars rover will look for bacteria by digging approximately 12 feet into the ground during its 2020 mission. Meanwhile, the ExoMars orbiter is on track to carry out its mission: finding biochemical signs of life on Mars, or beneath its surface. The Mars 2020 rover will also be digging deep in the search for past life. NASA is developing a lidar system for the search for life on Mars. Hopefully, with this many research irons in the fire, we’ll get some exciting answers soon.